4. Avoid rain and sunshine, being stored in dry and shady places. 2. 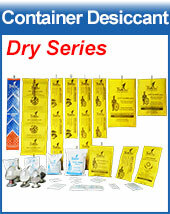 Desiccant need space to “breath” and absorb moisture from air. 4. The absorbent will turn into gel after full absorption. Do not press it with heavy items. 5. Do not eat. Keep desiccants away from children. 6. 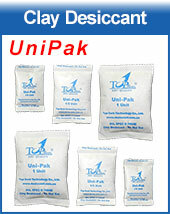 Desiccant is one-off product. Do not reuse it. 7. Environment-friendly, non-toxic, can be disposed as regular waste. We have different specifications including 2g,5g, 10g, 25g, 50g,100g. The above form is only for reference. The quantity of desiccant should be adjusted according to air condition, product package, material property etc. For example, for wood products with high moisture content, desiccant dosage should be increased. Desiccant can play a role effectively only in a closed environment. If the dosage is enough, desiccants will keep working for 50~60 days. If not in a closed space, it will never be able to absorb up the moisture in the air coming from outside, in several hours, it will get saturated. In sealed container, desiccant will absorb moisture, making the inside humidity container down to a certain level, until reach a balance condition. Then, desiccant’s adsorption rate will slow down, absorbing for long time, until being saturated. DriFashion desiccant needs some space to work, as it will get bigger in volume after absorbing humidity and moisture. Do not press desiccant sachets with objects. A big pressure is possible to break the sealing parts of sachets, and lead to a risk of leakage escaping from the breakage.